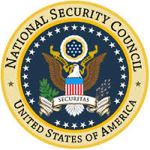 Michael Halas is the Director for Government Cybersecurity on the staff of the National Security Council. In that role, he coordinates cybersecurity policy efforts across the federal government and oversees cybersecurity activities related to government systems. In his previous position, as an attorney-advisor focusing on cybersecurity in the Office of the General Counsel of the U.S. Department of Homeland Security (DHS), he provided legal counsel to DHS, including its National Cybersecurity and Communications Integration Center, a 24×7 cyber situational awareness, incident response, and management center that works with both government and private entities. Mike provided legal support on incident response, risk assessments, information sharing, and federal cybersecurity; negotiated technology agreements; advocated the department’s positions; and reviewed and drafted legislation. Mike also spent time at DHS as an attorney-advisor in DHS’s Honors Attorney Program, where he rotated through the legal offices of the Secret Service, DHS headquarters, the Federal Emergency Management Agency, and Customs and Border Protection. Before joining DHS, he was a judicial law clerk for United States District Judge Eric N. Vitaliano of the Eastern District of New York, a judicial law clerk for Justice Carolyn Berger of the Delaware Supreme Court, a patent agent and technology specialist at WilmerHale LLC, and an engineer at IBM. He holds a J.D. from the Fordham University School of Law and a B.S. in electrical and computer engineering from the Rutgers University School of Engineering and is a Certified Information Systems Security Professional.